Pioneers in the industry, we offer automotive workwear from India. We are also engaged in serving our clients with a superior quality assortment of Automotive Workwear. The optimum quality fabric is sourced from the reliable vendors of the market to design these Automotive Workwear as per the set industry standards and norms. Moreover, the clothes offered by us are available in various specifications that can also be customized as per the requirements of our clients. 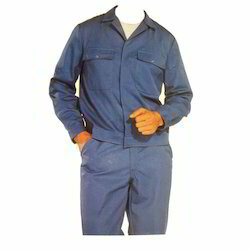 Looking for Automotive Workwear ?